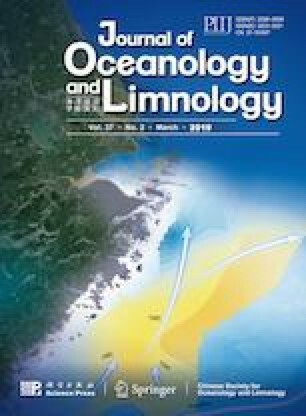 When exploring the temporal and spatial change law of ocean environment, the most common method used is using smaller-scale observed data to derive the change law for a larger-scale system. For instance, using 30-year observation data to derive 100-year return period design wave height. Therefore, the study of inherent self-similarity in ocean hydrological elements becomes increasingly important to the study of multi-year return period design wave height derivation. In this paper, we introduced multifractal to analyze the statistical characteristics of wave height series data observed from oceanic hydrological station. An improvement is made to address the existing problems of the multifractal detrended fluctuation analysis (MF-DFA) method, where trend function showed a discontinuity between intervals. The improved MF-DFA method is based on signal mode decomposition, replacing piecewise polynomial fitting used in the original method. We applied the proposed method to the wave height data collected at Chaolian Island, Shandong, China, from 1963 to 1989 and was able to conclude the wave height sequence presented weak multi-fractality. This result provided strong support to the past research on the derivation of multi-year return period design wave height with observed data. Moreover, the new method proposed in this paper also provides a new perspective to explore the intrinsic characteristic of data. Supported by the NSFC-Shandong Joint Fund “Study on the Disaster-Causing Mechanism and Disaster Prevention Countermeasures of Multi-Source Storm Surges” (No. U1706226), the National Natural Science Foundation of China “Coastal Engineering and Risk Assessment Based on a Four-Layer Nested Multi-Objective Probability Model” (No. 51379195), the Natural Science Foundation of Shandong Province “Three-Layer Nested Multi-Objective Probability Prediction and Risk Assessment in Coastal Engineering” (No. ZR2013EEM034), and the Program of Promotion Plan for Postgraduates’ Educational Quality “Paying More Attention to the Study on the Cultivation Mode of Mathematical Modeling for Engineering Postgraduates” (No. 861801232417).